Our two-part series of frequently asked questions start with two of our flooring solutions. Here we highlight some of the more common questions we get asked about our beam and block flooring, and our hollowcore flooring system either on-site or before purchase. How much camber in beams? 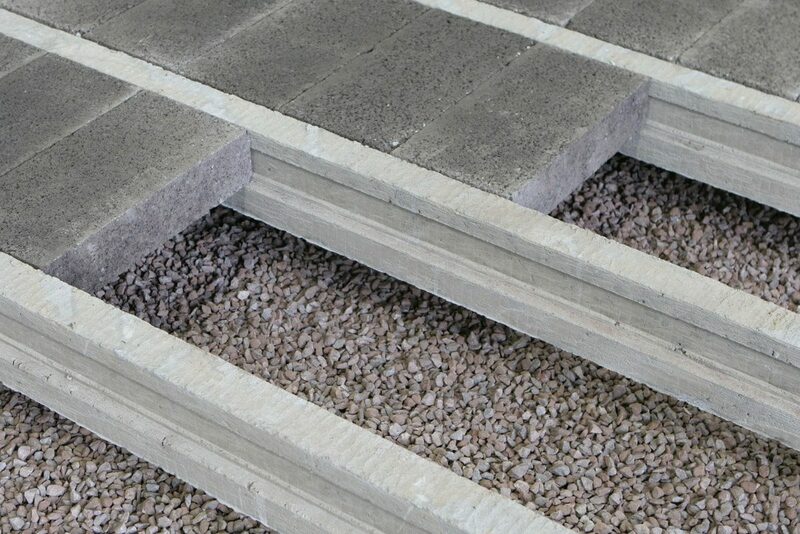 Stressline beam and block flooring is a staple part of UK construction and used by many developers. 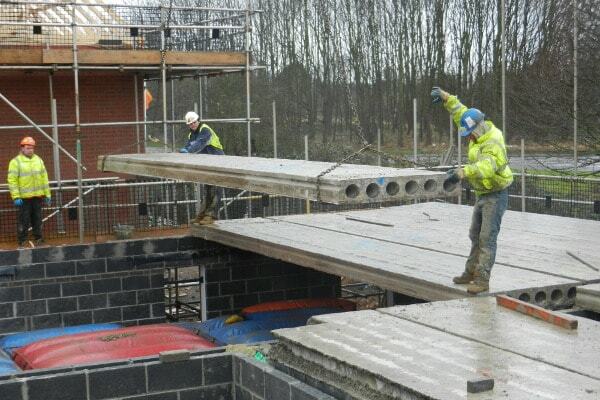 Floor beams are manufactured in accordance with BS8110 which stipulates a max camber of the span divided by 300 i.e. 6.0m span divided by 300 = max camber of 20mm to be allowed for in construction. What width and depth beams do you manufacture? 150mm in three widths 105mm, 125mm and 165mm and 225mm depth in 125mm widths. What loads can be supported? 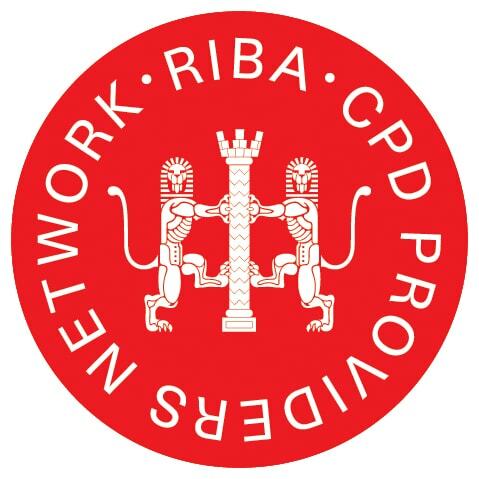 Our floors are designed to support the loads advised by the architect or structural engineer. The higher the imposed and line loads the more it affects the span the floor beams can achieve. 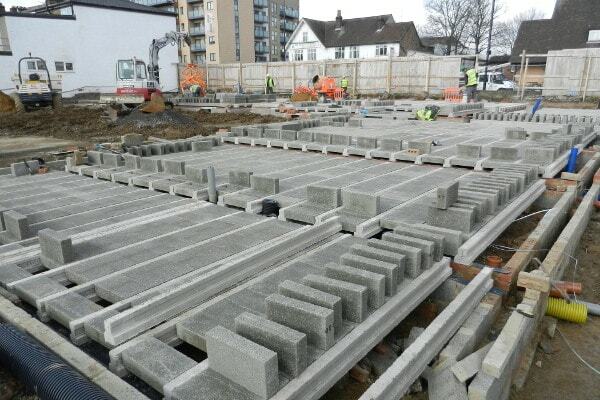 A variety of infill blocks can be used with our beam and block system, and the widths and depths available allow the developer to choose the best solution for their needs. Yes, it is good practice to always lay a DPC (damp proof course) beneath the floor beams and blocks bearing onto walls. Is a membrane needed over the floor? A membrane is normally only required if there is a Radon or gases issue to deal with. What infill blocks should be used? 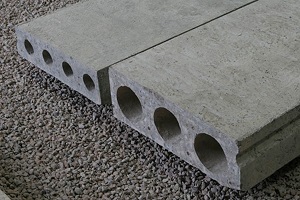 There are a variety of blocks available from lightweight aircrete to dense concrete. The weight of block will affect the span the floor beams can achieve. We normally design for 1350kg/m3 density. We would ask you to advise us if something different is needed. What delivery lorry options are there? We operate a fleet of flatbed rigids and artics plus hiab offload rigids. Normally 5-10 working days. We would always recommend checking availability with us as this can have seasonal variations. Our hollowcore units are designed and built to comply with part E of the building regulations. What spans can you achieve? Our 150mm depth planks can go to 7.1m clear span and 200mm depth planks to 8.4m clear span. However, these spans will be affected by the loads imposed upon the floor. Yes, it is good practice to bed the planks onto the supporting walls to seal any gaps from air, heat and sound loss into the cavities. How are angled and curved ends produced? Planks can be supplied with a single angled cut end. Should the building have a curved shape, then the units are cut at different angles to as near the shape required as possible. Further on-site cutting may be required depending on the radius of the curve. 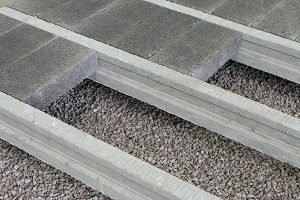 Our hollowcore flooring is often used in conjunction with our precast sections and supplied as a complete system. We can supply steel hanger brackets to trim openings of up to 1.2m. This is dependent on spans and loadings of each floor. Is there any in-situ concrete needed to complete floor? Our designs try to eliminate as much in-situ concrete fill as possible. It can be required at the interaction of planks to steel beams. 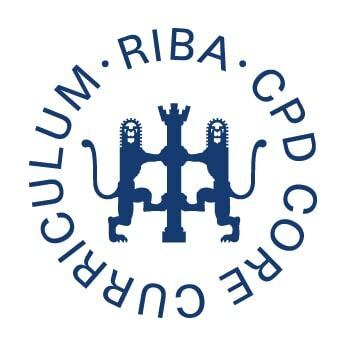 Our design drawings would advise of any requirement. Part 2 of our frequently asked questions post looks at the FAQs for thermal flooring, installation service and our cast stone products.